Stock # F11518, 3.9L V8 DOHC 32V, 5-Speed Automatic, 86490 mi. Payment based upon approved credit tier 1 with KEMBA Credit Union, 7.04% rate, 60 months terms, plus applicable bank fees & VSI. Dealer fee of $285 plus applicable sales tax & title, license fees due as cash down at delivery. 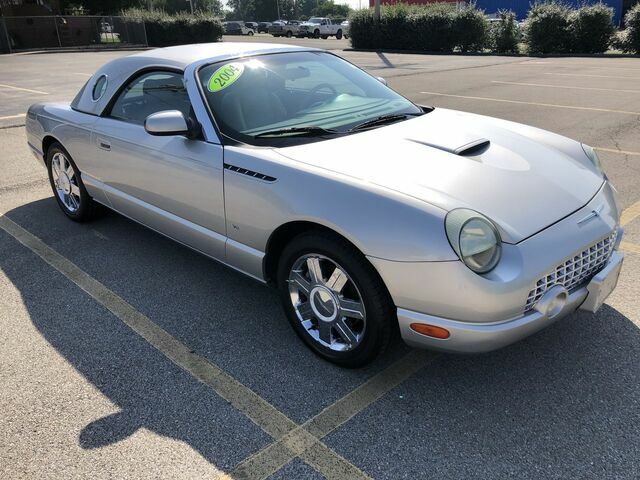 2004 Ford Thunderbird Convertible with both hard top & soft tops. Only 86K miles. 1 Owner. Clean CarFax. Garage kept for most of it''s life. Clean inside & out. We''ve had this one too long and have slashed the price from $13,997 to $11,900. This is a wholesale price for very nice clean car. If you are in the market for one of these don''t miss out!